Legacy Youth Project students sample life in L.A.
“There is more out there than what’s just in Napa,” said Josue Herrera, a 17-year-old Vintage High senior who returned from a field trip over spring break to Los Angeles. Herrera and 13 other Vintage High juniors and seniors loaded into two vans and headed south to L.A. to visit UCLA and Homeboy Industries, a center that helps ex-gang members with job training, counseling and other social services. And yes, there was time for the beach. The trip was sponsored by the Legacy Youth Project, a program designed to steer local youth away from gangs and other troubles by offering daily, campus-based mentoring. Organizers also used the trip to give students a look at what a four-year college campus looks like. Finally, the trip was an opportunity for the teens, some of whom have belonged to rival gangs, to trust one another. The students were chaperoned by Napa Police Officer Omar Salem, Vintage’s school resource officer, and Carlos Hagedorn, the Legacy coach. Napa Police, the Napa Valley Unified School District and private donors sponsored the end-of-March trip. During their stay, the students toured Homeboy Industries. They also toured murals at Ramona Gardens, a gang-ridden project, with Homeboy Industries’ executive director Hector Verdugo. At Ramona Gardens, Verdugo introduced the group to a center that lends teens academic support and mentoring and spurs art and leadership development. 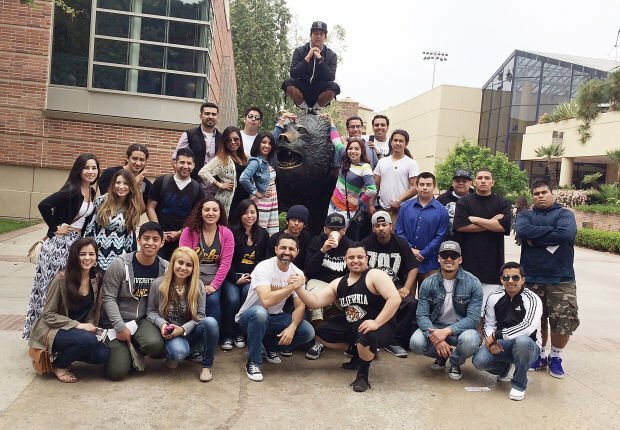 They also visited UCLA with members of Napa Valley College’s Puente Club, which helps disadvantaged students pursue a four-year education. Then they stopped by the beach. 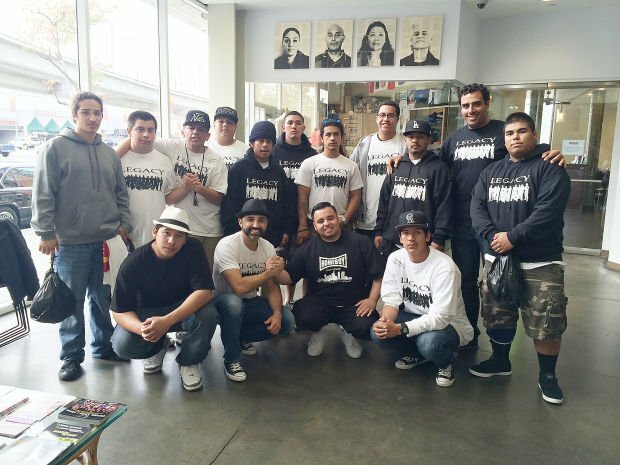 Herrera said he enjoyed his visit at Homeboy, noting he can relate to the struggles their hosts shared with the group. A fellow student, 16-year-old David DeHaro, a junior, also appreciated the trip. “It’s a good opportunity to see what’s over there,” said DeHaro. Monica Hurtado, a Napa Valley College student and a 2012 Vintage High graduate who now tutors Legacy teens, was among the Puente Club students who toured UCLA with Legacy. Hurtado enjoyed being able to tour the campus with her younger peers. “They’re right behind us,” 19-year-old Hurtado of the Vintage High students. As for herself, Hurtado said she hopes to become a Bruin someday. “I really like that campus,” she said, citing the diversity of students. “That’s where we belong,” she said, before resuming a tutoring session at the Legacy classroom at Vintage High School. The spring break trip was Legacy’s second venture to Los Angeles that Salem and Hagedorn have organized since they created the Legacy program a year and a half ago. For some of this year’s teens, it was their first trip to Los Angeles. One evening, after a day of touring, Salem said he and Hagedorn found some of the teens, including former gang rivals, hanging out at the Jacuzzi, laughing. For Salem, that was the highlight of the trip.